Fig. 1. 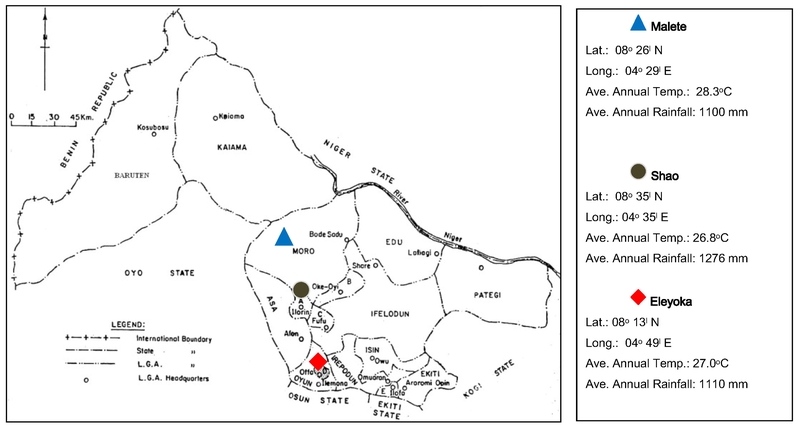 Map of Kwara State showing the three experimental locations (farms) and their climatic characteristics.